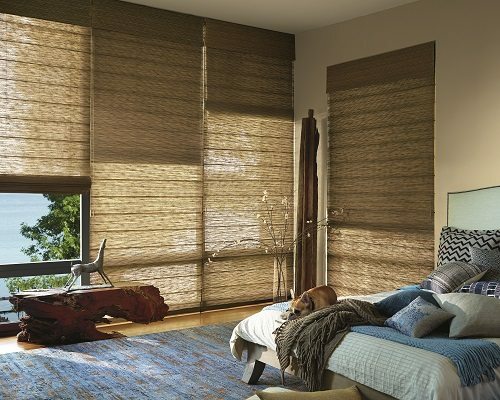 Shades By Design’s woven wood shades can be motorized, and are available in different styles and textures that can be used with or without a liner. 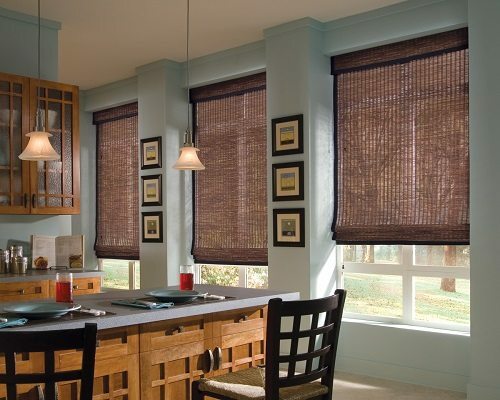 Liners are available in both light-filtering and room-darkening opacities for additional control of privacy and light. 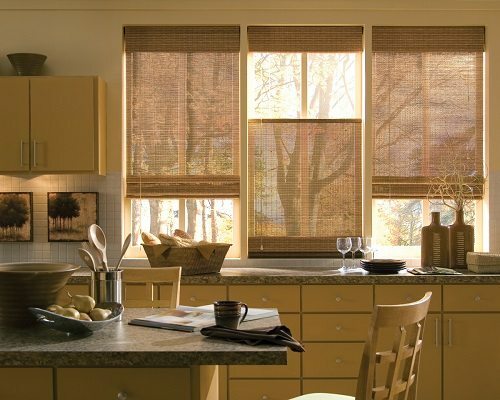 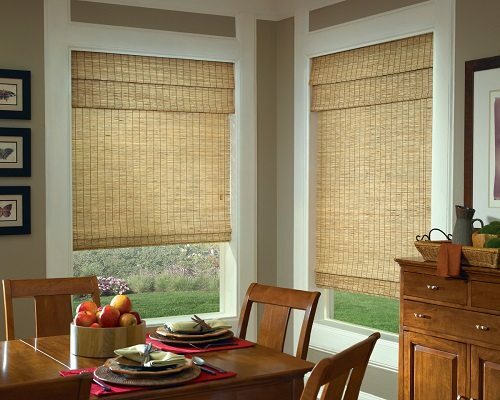 Woven wood shades are a popular choice for living rooms, bedrooms, kitchen, and almost any room where you would like to transform sunlight into captivating design statements.